We show you how to set up a Serac camping hammock right out of the bag. In a few easy steps, you’ll be relaxing in no time. 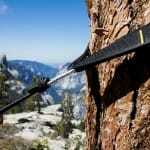 Your Serac hammock always come with tree hugger straps to protect our trees and to make your setup a breeze. All you need to do is wrap the straps around some trees, clip the carabiners to any one the 10 anchor points on each strap. 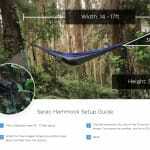 Adjust the height and tension of your hammock and start hanging! 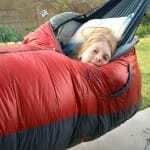 This entry was posted in How to and tagged hammock set up, how to, instructional, Video.